Welcome to the Calendar at saratogaliving.com—our expertly curated list of the top events, live music, readings, workshops and everything else in between hitting the Capital Region on Fridays, Saturdays and Sundays. As always, the Calendar will be updated every Thursday, so that you’ll have a jump on your weekend plans. You’ll never have to ask “What’s going on in Saratoga?” ever again. Row, row, row your boat, quickly down the stream. 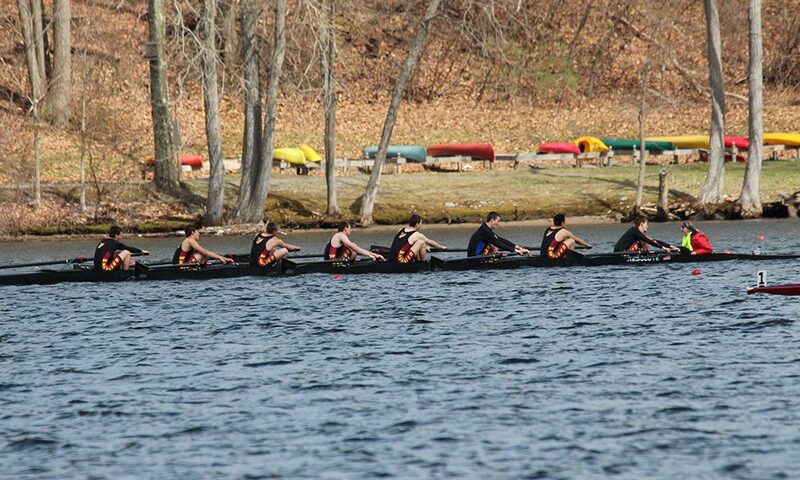 On Saturday, April 28, the Saratoga Invitational—the Saratoga Rowing Association‘s annual scholastic/non-scholastic rowing competition on Fish Creek (billed as “America’s Largest Sprint Race”)—features 10 lanes of 1500-meter racing and attracts top crews from the Northeast, Mid-Atlantic and Midwest. Aside from the Saratoga Rowing Association’s own squad—which you should obviously be cheering for loudest—there are teams shipping in from Poughkeepsie, Boston, Greenwich and Fordham. There are races literally scheduled all day, and with afternoon showers in the forecast for Friday and Saturday, be sure to bring along your trusty slicker. Then again, the action should be so intense—and fast-moving—that a little rain won’t dampen the spirits.